…while still maintaining an aesthetic that is worthy of your neighbor’s envy? There are ways to turn your outdoor surroundings into lush, picturesque settings without damaging the environment. Whether you want to spruce up your garden, do simple yard work or entertain guests, there are environmentally friendly steps you can take to tread more lightly in nature. Going green in your own yard can be a rewarding experience for many reasons. When you make certain eco friendly choices, you decrease the amount of pollutants in your surroundings. Imagine no longer having to worry about exposing yourself or your loved ones to harmful chemicals. There are countless ways to improve the environment indoors, and outdoor solutions are becoming more and more prevalent. Most tasks are easy to accomplish. It doesn’t require much more than a willingness to respect the environment. By making eco-conscious choices, you can save thousands of dollars every year. Cutting energy consumption and reducing water use are good ways to lower your daily costs. One of the most central pieces in the ecology puzzle is grass. Grass is the most irrigated crop in the country and covers over 45 million acres of land in the U.S. alone. Additionally, using a lawnmower to maintain a yard full of grass produces the same amount of pollution as driving 15 miles. The best way to reduce the amount of water and maintenance needed for lawn care is to install synthetic turf. Artificial grass is ideal for creating a greener environment in your yard. Choosing this alternative can save you money as well as time. It can also improve the visual appeal of your yard. Whether you want to install artificial turf in an area that is difficult to maintain, or you want to cover an entire yard, you can benefit from this option. Water runoff is one of the biggest threats to the environment and can cause substantial erosion of river beds. 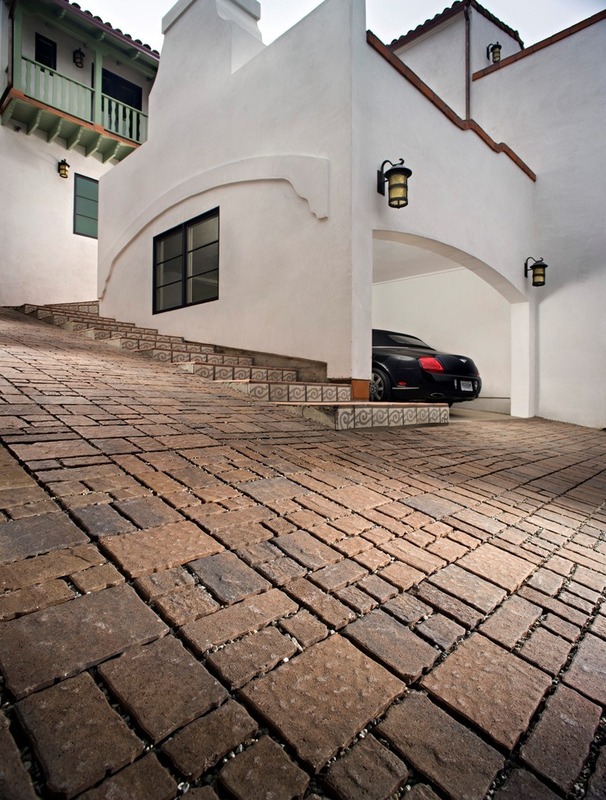 Installing permeable pavers can effectively manage water runoff. These specially-designed stones allow water to filter through to the underlying soil. The self-draining action promotes the saturation of rainwater into the earth. Some permeable paving systems collect the drained water in a basin. The rainwater rushes around the pavers at a rapid rate. Once the water is captured, it is cleaned by a sanitation system. Pollutants are removed, and the water is released back into the ground. The water may be directed to various areas of the yard, but it may also be stored for re-purposing. Another way to conserve water and prevent runoff is to install a rain barrel in your yard. Rain barrels are inexpensive and can be placed in various locations. These vessels capture rainwater, so you can reuse it to irrigate your garden, plants or lawn. Harvesting rainwater can save gallons of wasted water every month, which means it will be friendly on your budget as well. One of the simplest ways to improve the environment is to create a greener atmosphere. Planting more wildflowers, shrubs and trees can make a notable difference. Purchase plants that are native to your region in order to decrease the amount of maintenance needed. To lessen the expanse of your lawn, consider planting a garden. Gardens are not only environmentally friendly, they provide a healthy alternative to consuming chemically-altered foods. If you choose to install artificial grass, you will not need to use fertilizer. However, gardens need nourishment as well. Many people use synthetic fertilizers which can create a buildup of toxic chemicals. A safe and healthy alternative to chemically-based fertilizers is compost. Numerous items can be used as compost, including yard trimmings. With composting, you can preserve your health as well as reduce the amount of trash you throw away every week. Many lawns and gardens require the use of pesticides. These chemicals seep into the soil and damage water supplies. You can avoid contamination by using organic pesticides or predators found in nature. Lacewing flies and ladybugs are ideal for natural pest control. By eliminating the amount of toxic pesticides you use, you not only safeguard the water, you protect the air around you. In many cases, the green methods you use indoors can be used outdoors as well. You may be so familiar with the concept of reducing, reusing and recycling…you repeat it in your sleep. However, you may not have considered the power this mantra can pack for your yard. When it comes to reducing, energy depletion is a key element. To reduce your energy use, consider installing solar lights throughout your yard. Replacing your current lights with their solar counterparts allows you to enjoy your yard at night by using energy from the sun. This can save you money on electricity costs as well as minimize your energy consumption. You can significantly lower carbon emissions by using a gas grill instead of a charcoal one. If you cannot part with your charcoal grill, consider using all-natural coals. You can also use a chimney starter and eliminate the need for chemically-based lighter fluid. Additionally, keeping your grill and lid away from your lawn will protect the grass from heat damage. Reusing and recycling consists of taking old items and making them functional again. Not only can you recycle things like yard waste or paper products, you can purchase recycled goods. Many people are discovering the benefits of using reconditioned patio furniture. These products typically are durable and easy to clean. Recycling and reusing considerably cuts down the amount of waste entering landfills each year. 1. Do you have hard to manage regions in your yard that may benefit from synthetic turf? 2. Are there sections in your yard that may need permeable pavers? 3. Do you have gutter runoff that can benefit from rain barrels? 4. Is there room for a vegetable or herb garden? 5. Have you been overusing fertilizers and pesticides? 6. Have you considered the best ways to reduce, reuse and recycle? It is possible to fully enjoy your yard without disturbing the delicate balance of nature. Install It Direct can provide you with an array of eco friendly solutions. Sign up today for a free estimate, or join our mailing list to receive helpful tips. With very little effort, you can relax in environmentally safe surroundings that will turn your neighbors’ eyes as green as your yard.